NEW Award Winning Contemporary Blues Track Now Streaming! 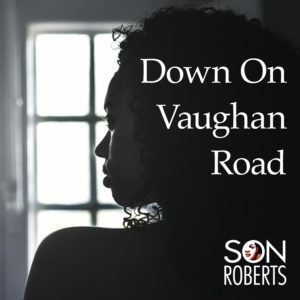 “Down on Vaughan Road” won 2nd prize in the 5th annual Cobalt Prize Contemporary Blues Composition Award announced at the 22nd Annual Maple Blues Award held in February 2019. This original song was not just crafted specifically for the Cobalt Prize, it was inspired by the prize. Pushing the boundaries of what defines “the Blues” is at the heart of my music. This track is based on the real life experiences that unfolded on Vaughan Road, and along other such roads, where extraordinary women I have known and loved struggled to find peace in their troubled lives. The darkest of Blues has coloured their world.